We all are aware that construction of your dream house requires a variety of building materials such as bricks, sand, cement, wood, plywood, laminates, steel, and colours, etc. For buying and selecting right materials, you need to put lot of effort by spending a lot of time. It involves various stages like searching and selection of the right product, searching of right supplier, checking of quality and specification, delivery of materials, checking of bills, etc. How about if someone provides you the ‘buying guide’ for each material listed above? Here in this article we have tried to provide you ‘buying guide for a Plywood’. We have also written the article on “Material Buying Guide in General” read this for more clarity on how to buy any building material. When the stage comes up of making a furniture for your house and need to take a decision of material to make a furniture, you may be aware & confuse at the same time by having heard about lot of wooden products like plywood, particleboard, blockboard, MDF, etc. Among them, plywood is the most common building materials used in almost every furniture like sofa, cupboard/wardrobe/closet, drawers, kitchen cabinets, etc. So here we have tried to provide plywood buying guide which will be helpful to you when you have taken decision of buying plywood from the market. Let’s begin with the basics of plywood. It is a wooden panel made by stacking of several thin layers of wood veneers. In the market, it is popularly known as “Ply”. It is used in everything from furniture to construction of the house. Plywood is available as a form of sheet. Buying plywood involves different stages like selecting the right types of plywood, perfect size of plywood, finding the right supplier, verifying quality, checking bills, etc. Buying plywood may be your need, but the purpose for which you are buying may be your desire e.g. plywood for wardrobe, bed, dining table or luxurious show case. Therefore, make sure that you need that particular item or is it your mere desire. 02. Why you Need Plywood? Plywood is most commonly used in furniture, wall partitions, kitchen cabinets, doors, stairs, flooring, etc. So, before buying plywood, you need to make sure where you want to use it i.e. outside or inside and in dry, humid or moist environment. The structural strength of most of the furniture or other wooden elements is defined from plywood only. Therefore, the size and thickness of the plywood is most important factor. For instance, scenario -1: if plywood is used over wooden frames, lesser thickness of plywood would be a better option. Scenario-2 if plywood is used without wooden frames then it would be a better decision to use more thicker ply. Ultimately for both the scenario, plywood quality and specification will get changed. So always consult your interior designer or architect, they will help you in such decisions. If you want to buy plywood for bathroom or kitchen, then you may use Boiling Water Resistant (BWR) grade plywood. In living room or bedroom, you can use Moisture Resistant (MR) grade plywood. Some other types of plywood like Fire Retardant Plywood, Flexible Plywood, Industrial Plywood, etc. are also available in the market. These all different grades of plywood are used for various types of application. The most common plywood size is 2449 x 1219 mm (8’x4’). Other size of plywood is also available in the market. The thicknesses of plywood may vary depending upon the type of plywood and its manufacturer. The thickness of plywood is between 3mm to 25mm. In the market, 18mm and 12mm thickness of plywood are most commonly used for furniture making. When you are buying plywood sheets, you have to study its specification, which may be described on the manufacturer’s website or on the plywood sheets. First, you should decide the overall budget of the house or an interior project. After that, you need to decide plywood grade and thickness that you want to use. But you can always choose between plywood grades and cost saving. You need to decide the approximate quantity of plywood sheet that may be going to used to make your furniture i.e. how many plywood sheets are needed and its size. However, it will mainly depend on your purpose where you want to use the plywood. i.e. in kitchen cabinets, flooring, partition wall, etc. Buying plywood without its application in mind will results in excessive wastage and ultimately lead to higher cost. Ask your experienced carpenter or interior designer or architect to workout tentative numbers and size from drawings. 03. From where you can Buy Plywood? Once you estimate the right quantity of plywood, you should find the right suppliers or manufacturers of the plywood. The cost of transporting plywood sheet depends on the location of the site from the manufacturer’s depot. You can transport the plywood sheet by a small vehicle or truck. If you are buying one or two sheets of plywood, you can transport it by small vehicles. 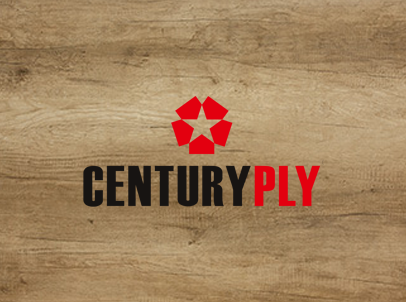 CenturyPly, GreenPly, National Plywood, Kitply, Sarda Plywood, Mayur Plywood, etc. are some popular brands. Some mini plywood depot are also available in the market from where you can also buy plywood. Once you receive the plywood sheets on site, you have to check the quality of plywood sheet by doing some manual testing, i.e. Measure the four edges of the ply to understand if any variation in thickness is present. Move your hand slowly over the flat surface of the plywood and feel for any undulation on the surface. This undulation will again give an ugly finish to the surface after you have polished, laminated or painted the product. The uneven surface is also a sign of improper production techniques and lower strength. Some other types of testing can also be done on plywood. To guide you further on testing recently we have written a detailed explanation on testing of plywood. 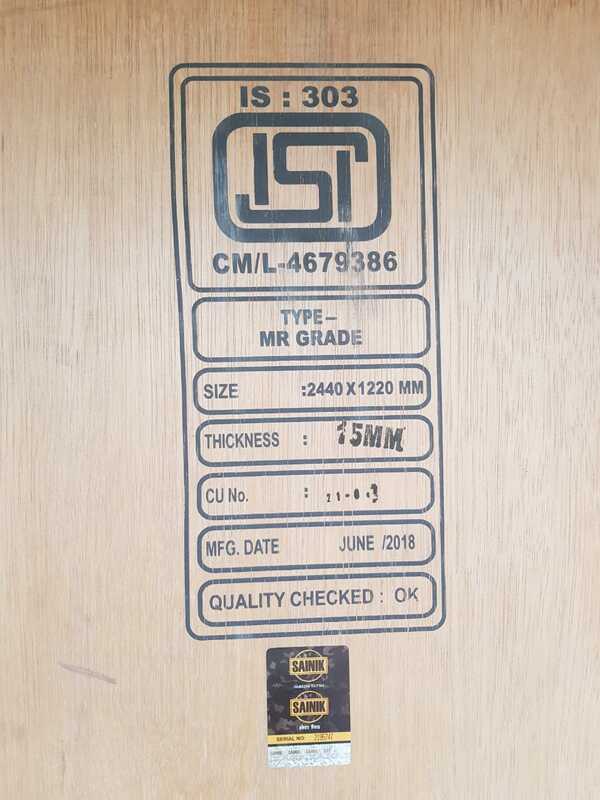 Once you received plywood on site, you have to check on whether the plywood sheet marked with ISI mark or not. Also, you may notice IS: 303 and IS:710 mark on the plywood. Those numbers are Indian Standard guidelines number, which is given after the plywood testing and assure the quality. IS: 303 for the general-purpose commercial Moisture Resistant (MR) grade and Boiling Water Resistant (BWR) and IS: 710 for Marine Grade plywood. It is impossible to say the exact life of plywood. However, as per the plywood.com the estimated life of plywood is around 10 years or more. If moisture or termite will come in contact with it, it may get deteriorate early. We hope that this piece of work will be help you when you are going to buy plywood. After you are satisfied with plywood quality as per your requirement, make the payment and obtain the payment receipt. Preserve the payment receipt given by the manufacturer and keep them on secured place in case of any emergency in future. Previous PostPrevious Smart Home Solutions: Promotes Convenience & Safety to Your Health! Next PostNext How to Prevent Bittiness Paint Defect?